Everything Old Is Brew Again - In this episode we’ll delve into the arcane and mysterious origins of beer, as well as the Mesopotamian legend Gilgamesh and his brew-loving buddy Enkidu. 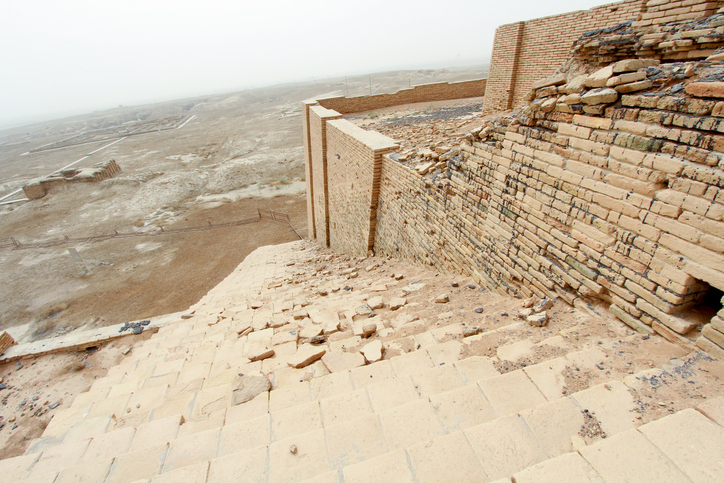 The earliest version of the Ziggurat of Ur (near Nasiriyah in present-day Iraq) was built in the 21st century BCE—the same period that the Epic of Gilgamesh was first inscribed on clay tablets. Ziggurats were stepped pyramids made from baked clay and served as administrative centers and perhaps as shrines for Sumerian gods. 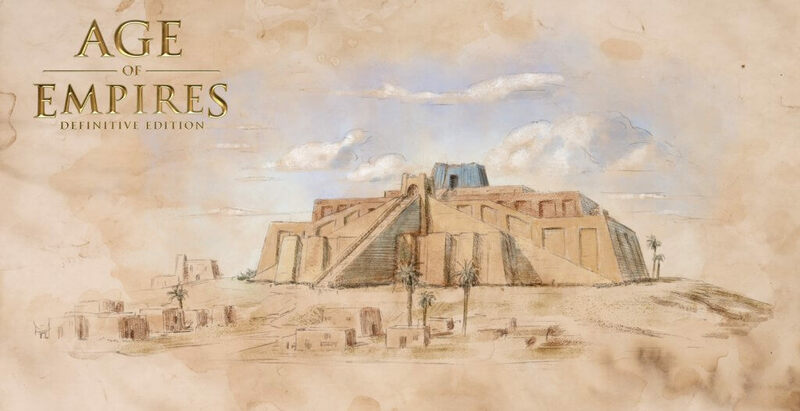 By the reign of the Neo-Babylonian kings, the Ziggurat of Ur had long since crumbled to its foundation stones, but it was rebuilt by King Nabonidus in the 6th century BCE. This Neo-Babylonian’s effort to return to the glory of his Sumerian ancestors was short lived: his kingdom soon fell to the mighty Persian Empire of Cyrus the Great. In 1922 CE, Briton Leonard Woolley began excavations at Ur. A former archaeological colleague of the renowned Lawrence of Arabia, Woolley was the first excavator of ancient sites to use scientific techniques to document his efforts. The Sumerians were one of the earliest civilizations. Their growth and expansion were dependent on rich river valley farmlands. They were not as fortunate as others in terms of mineral resources or strategic position, however, and did not enjoy the long reign of the Egyptians. The Sumerians are considered one of the most important early cultures, nevertheless, because of the many advances attributed to them. Because their location was weak in terms of defense and poor in terms of resources, they were forced to innovate. In many ways, they were more important to history because of their innovations than the much richer Egyptians. 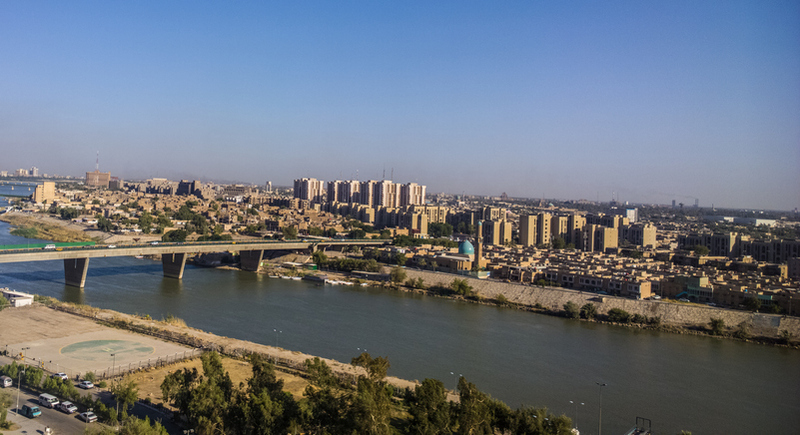 Sumer was in southern Mesopotamia (meaning “between the rivers”) where the Tigris and Euphrates Rivers come together before flowing into the Persian Gulf. 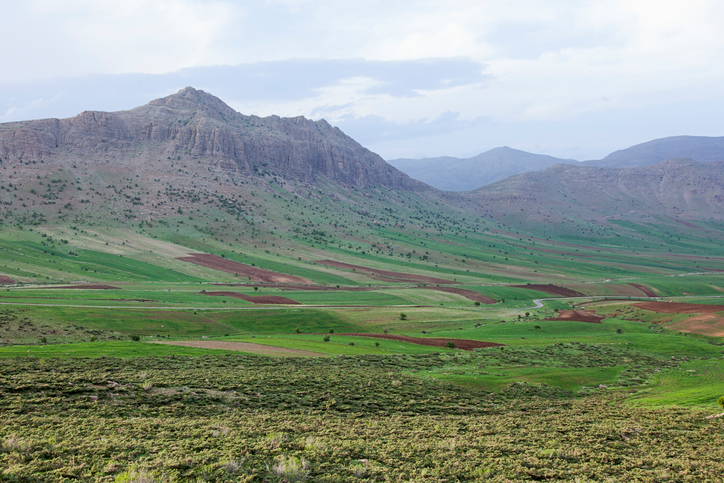 By 5000 BCE, primitive farmers had come down to the valley from the Zagros Mountains to the east. The land was rich but baked hard in the summer sun after the late spring river floods. The early settlers learned how to control some of the flooding with dikes and how to irrigate their summer fields. Early settlements at Ur, Uruk, and Eridu grew into independent cities first and then city-states. As a conglomeration of city-states, there was no clear capital for the Sumerians because the center of power shifted from time to time. The cities of Ur, Lagash, Erech, Eridu, and Uruk were the most important. From 5000 to 3000 BCE, the agricultural communities of Sumer gradually coalesced into city-states along the banks of the Tigris and Euphrates Rivers. The peak of this city-state culture lasted from 2900 to 2400 BCE. The city-states of the river valley were relatively rich from food production, manufacturing, and their position along important trade routes. 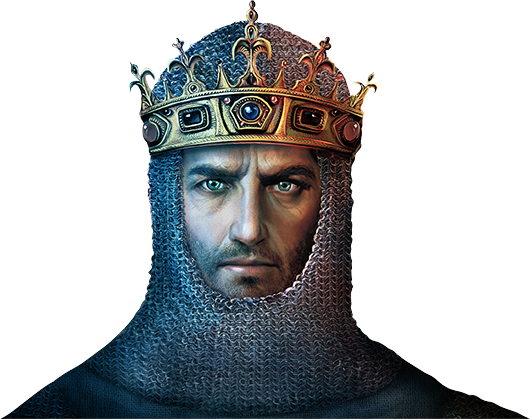 This made them tempting targets when more powerful and warlike neighbors came into existence to the north and east. The Sumerians grew wheat, barley, peas, onions, turnips, and dates. 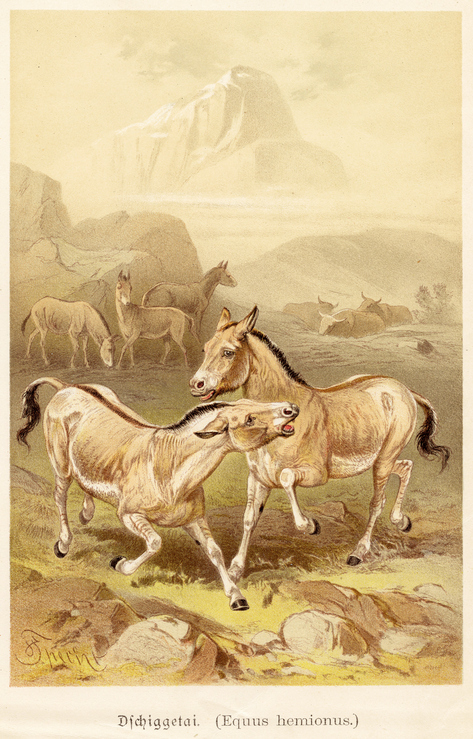 They raised cattle and sheep, fished, and hunted wildfowl along the river. Food was generally abundant, and populations grew accordingly. There was no copper in the river valleys, but copper was found in the mountains to the east and north. 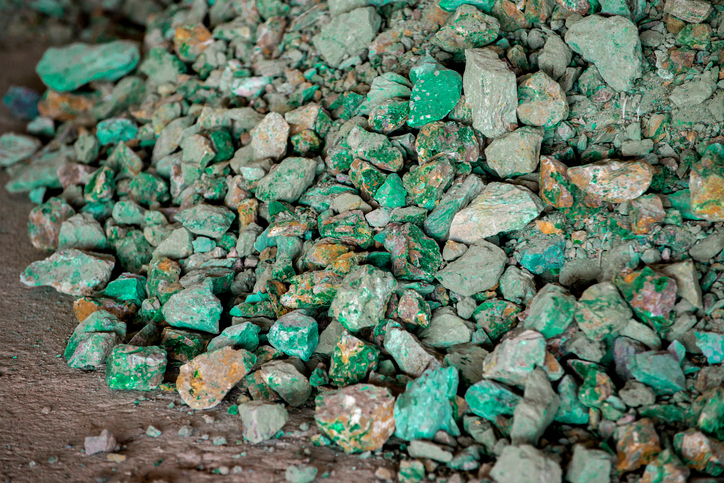 The Sumerians learned how to obtain copper from ore by 4000 BCE and to make bronze by 3500 BCE. They traded food, cloth, and manufactured items for raw materials, such as timber, copper, and stone. Their merchants traveled up the Tigris and Euphrates to trade with the people of Anatolia and the Mediterranean coast. They also traded in the Persian Gulf for items from India and further east. Gilgamesh was the world’s first action-adventure superhero—a Sumerian King of Uruk who was “two parts god, and one-part man.” His exploits, along with his wild man sidekick Enkidu, include drinking beer, laying with harlots, and killing the monstrous Bull of Heaven. 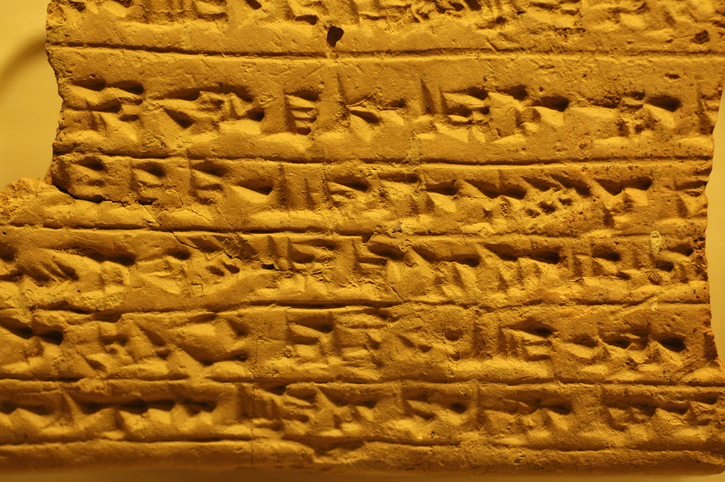 The epic was recorded on cuneiform-inscribed clay tablets, the earliest dating from 2100 BCE. 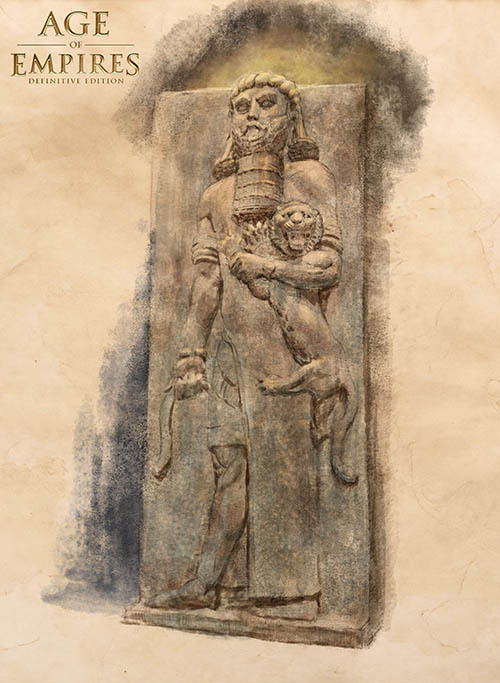 This drawing is of a massive 15-foot-tall statue titled “The Hero Overpowering a Lion.” The relic was crafted by Neo-Assyrian artists in the early 8th century BCE, and archaeologists believe that it represents either Gilgamesh or Enkidu. It was discovered (in 1843-4) in the ruins of the Neo-Assyrian capital of Dur-Sharrukin (present-day Khorsabad in Iraq). 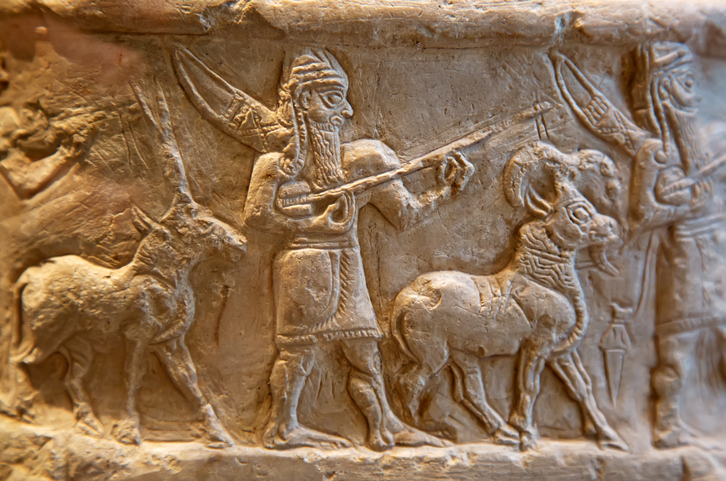 The Assyrians who made the statue knew about the adventures of Gilgamesh, although the tale was ancient history even for them. Carved from gypseous alabaster, the colossal figure choking the lion holds a curved ceremonial blade—a weapon of royalty. It was unearthed by French scientist and Consul in Mosul Paul-Émile Botta and sent to the Louvre in Paris where it stands to this day, staring down at viewers with the penetrating gaze of a demigod. The Sumerians worshipped hundreds of gods, with each city having its own patron deity. The principal gods were too busy to bother with the plight of individuals. For that reason, each Sumerian worshipped a minor god or goddess who was expected to interact with the major gods. The Sumerians did not believe in a heavenly afterlife and were realistic about the limits of human goodness. They accepted that although the gods were above question, they were not always kind. The soul and center of each city-state was its temple to the patron god. The Sumerians believed that the god owned the city-state, and the Sumerians or their slaves farmed part of the land directly for the god. The remaining land was farmed by the temple staff or by farmers who paid rent to the temple. Rents and offerings paid for temple operation and supported the poor. Slaves were an important part of the community and were one objective of any military campaign. Even locals could become slaves to satisfy debts. Slaves could work extra hours and use any savings to buy their freedom. Each city in Sumer was ruled at first by a council of elders, although a war leader, called a lugal (literally “Big Man”) was selected to lead the army during conflict. Eventually the lugals assumed power as kings and established dynasties. Evidence suggests that the Sumerians may have taken the first steps toward democracy by electing a representative assembly. This consisted of two houses—a senate of important citizens and a lower house made up of those available for military duty. Preserved clay tablets reveal that the Sumerians maintained courts of justice where people could expect a fair trial. One tablet recorded the oldest murder trial in known history. Most of the food production and distribution was controlled through the temple. A noble class arose based on land ownership, control of trade, and manufacturing. Most trade and manufacturing were outside the temple’s control. Having no easy access to stone or wood for building hamstrung the Sumerians. Sun-dried mud bricks were their main building material, and this required some ingenuity. They were the first to employ the arch, vault, and dome. Their cities were completely enclosed by brick walls. Their most important buildings were temples, built as large mounds called ziggurats. Through cycles of attack, destruction, and restoration, the temples were rebuilt again and again at the same site, gradually getting larger with each incarnation. 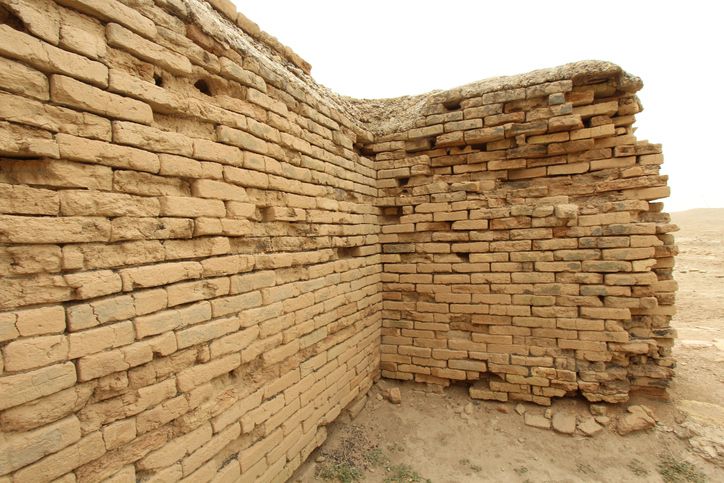 Mud bricks eroded and crumbled much more quickly than stone, however, and little Sumerian architecture survives. The key influence on the Sumerian military was their poor strategic position. Natural obstacles for defense existed only on their borders to the west (desert) and south (Persian Gulf). When more populous and powerful enemies appeared to their north and east, the Sumerians were susceptible to attack. Surviving artwork and archaeological remains indicate that the Sumerian soldiers used spears and short swords of bronze. They wore bronze helmets and carried large shields. Their armies were not particularly notable, but records are sparse. They engaged in siege warfare during their many inter-city wars. Mud brick walls did not stand against determined attackers who had the time to pry out the bricks or pound them to dust. The Sumerians invented chariots and were the first to use them in battle. These early chariots were four-wheeled and pulled by onagers (wild donkeys) and were not as effective in battle as the subsequent invention: the two-wheeled chariot designed to be pulled by horses. Sumerian chariots may have served primarily as fast transports, but surviving artwork suggests that spears or javelins were thrown from them. A male statuette from the Abu Temple dating roughly to 2600 BCE is believed to depict Abu, the Sumerian god of vegetation. A group of Semitic people called the Akkadians settled north of Sumer along the Tigris and Euphrates Rivers. The Akkadians adopted very quickly the culture, religion, and writing of the more advanced Sumerians who had preceded them. In 2371 BCE, Sargon I seized the throne of Kish and gradually conquered all the city-states of Akkad. He turned south and conquered the city-states of Sumer, which were unable to unite in defense. Sargon established the first empire in history during his reign from 2371 to 2316 BCE, extending his control along the Fertile Crescent from Elam, to the east of Sumer, to the Mediterranean coast. Sargon’s empire collapsed after his death but was restored briefly by his grandson. Around 2230 BCE, the Akkadian empire was destroyed by an invasion of Gutians—hill people from the Zagros Mountains. New cities and towns soon grew up along the river valleys, but the Sumerians were gone as a distinct and independent culture. The Sumerians are most noted for the invention of the wheel and writing (both circa 4000 BCE). The wheel was important for transport and for pottery making (the potter’s wheel). Sumerian writing, called cuneiform, consisted of groups of stylus wedge impressions pushed into clay to form stylized pictograms representing words. This writing grew out of record keeping and seals used for business transactions. The Sumerians were among the first to use boats, including round boats made of hide stretched over a wooden framework. These coracles were especially popular among the reeds and waterways of the river delta.